Left: A supermarket pre-packaged Scotch egg, halved. Scotch eggs were traditionally a picnic food and homemade. In the UK, pre-packed, plastic-wrapped Scotch eggs are commonly available in supermarkets, convenience stores and motorway service stations. 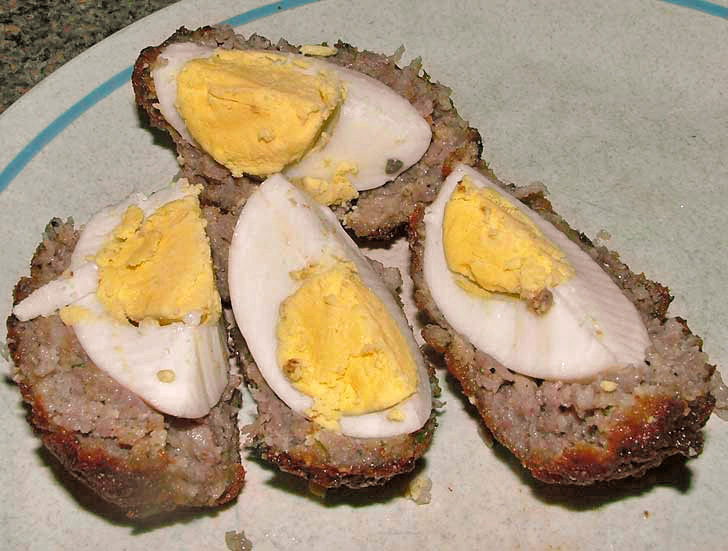 In the United States, many "English-style" pubs and eateries serve fresh-made Scotch eggs. These are usually served hot, with dipping sauces such as ranch dressing, hot sauce, or hot mustard sauce. When making Scotch eggs at home, cooks may fry and then bake or microwave the Scotch eggs to ensure that the sausage is cooked all the way through. Left: A homemade Scotch egg, quartered. 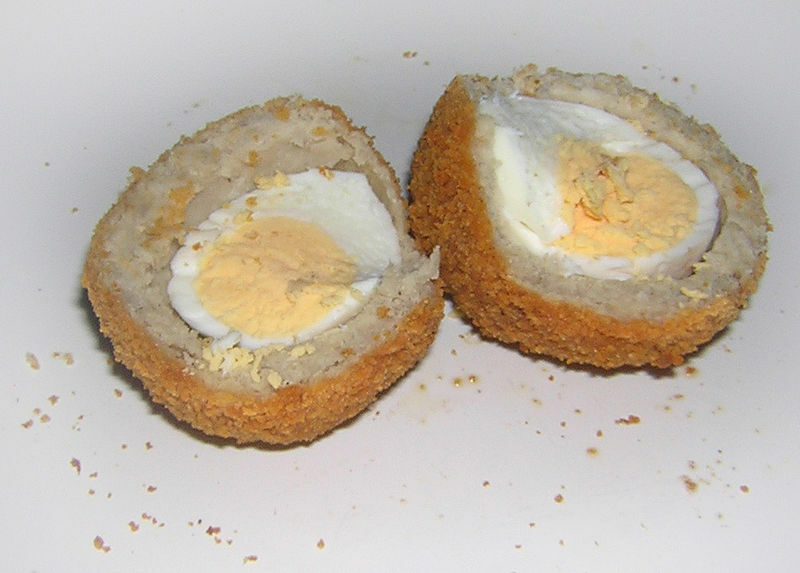 Miniature versions of Scotch eggs are also widely available in British supermarkets, and are sold under the name 'savoury eggs', 'picnic eggs', 'party eggs', 'snack eggs' or similar. These contain a chopped, rather than whole, egg filling, sometimes combined with mayonnaise. Some of Britain's culinary favourites crossed over to the Indian sub-continent and there is a popular Indian dish called nargisi kofta also known in English as Curried Scotch Eggs.